California regulators routinely have conducted cursory and indifferent investigations into suspected violence and misconduct committed by hundreds of nursing assistants and in-home health aides – putting the elderly, sick and disabled at risk over the past decade. In 2009, the state Department of Public Health quietly ordered its investigators to dismiss nearly 1,000 pending cases of abuse and theft – often with a single phone call from Sacramento headquarters. The closing of cases en masse came after officials determined their swelling backlog had become a crisis. Four years later, state investigators are opening and closing investigations into suspected abuse without ever leaving their desks, The Center for Investigative Reporting and KQED have found. In some instances, caregivers who have sexually assaulted or abused patients have retained their licenses and moved to other facilities. An estimated 160,000 nursing assistants and in-home health aides are employed throughout California. These workers – all regulated by the Department of Public Health – are certified to work in hospitals, nursing homes, mental health facilities, developmental centers and private homes. Since the mass dismissal of cases in 2009, the overwhelming majority of allegations of abuse and misconduct have been closed without action. The state also has dramatically reduced the number of license revocations for aides suspected of abuse and misconduct. “I would tell anybody, do not count on the government taking care of you,” said Brian Woods, former director of the Department of Public Health’s West Covina office. Bond has been set for a Villa Park man charged with stealing more than $45,000 from an elderly woman for whom he provided in-house care, according to the DuPage County State’s Attorney’s Office. William Sullivan turned himself in on a $150,000 arrest warrant last week. It is alleged that in 2006, Sullivan became the caretaker of an 89-year-old woman and obtained access to her checking and savings accounts. From June 2011 to October 2012, Sullivan allegedly wrote himself checks from the victim’s checking account and withdrew money from her savings account for his own use without permission. In all, Sullivan allegedly stole more than $45,000 from the woman’s accounts. According to the State’s Attorney’s Office, Sullivan’s alleged actions were discovered when the woman’s nephew, who had power of attorney over her affairs, reviewed her bank accounts and discovered discrepancies. Sullivan has been charged with one count of financial exploitation of a person over 80, a Class 1 felony, and one count of theft over $10,000, a Class 2 felony. Judge Alex McGimpsey upheld the $150,000 bond when Sullivan appeared in court April 17. He is in custody in DuPage County Jail and scheduled for a May 20 court date. Retired city engineer Marshall Davies was nearing 90 when a longtime nursing assistant at St. Joseph Hospital befriended him in 2007 and offered to be his round-the-clock caregiver. Instead, Cook County prosecutors allege, Carmelita Pasamba obtained power of attorney over Davies’ estate and bilked him out of more than $350,000, using the money to remodel her home, enrich family members and buy a new Mercedes. Davies had been diagnosed with dementia almost a year before Pasamba began to take advantage of him, prosecutors said. Pasamba, 62, who worked for 15 years as a nursing assistant at St. Joseph, was charged with financial exploitation of a senior citizen, a felony punishable by up to 15 years in prison, prosecutors said Friday. She was held on a $350,000 cash bail. Also charged were Pasamba’s sister, Jocelyn Vargas Baker, 47, and husband, Edgardo Pasamba, 63, both of whom benefited from her actions, prosecutors said. 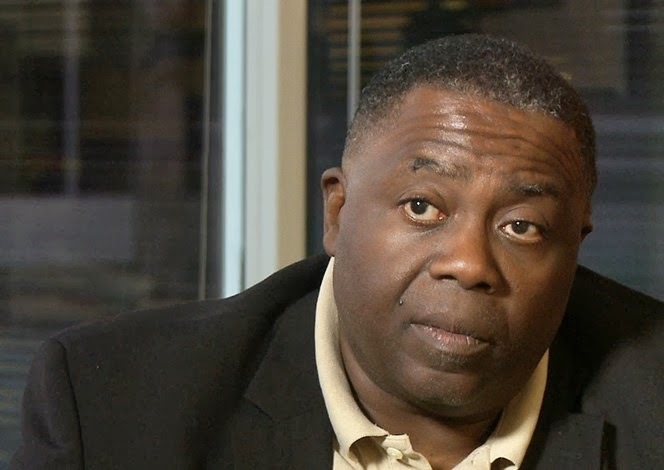 The criminal case stems from a 2011 lawsuit filed by Cook County Public Guardian Robert Harris accusing Pasamba of using her position to take advantage of the ailing Davies. Pasamba, a native of the Philippines, met Davies in January 2008 when he was hospitalized for a hip injury and she cared for him. When he was discharged later that month, Davies needed at-home care and Pasamba offered to work for him, prosecutors said. She also hired her daughter and her sister to help provide 24-hour assistance. Three months after she began his at-home care, Pasamba hired an attorney affiliated with the Filipino community to draft a power-of-attorney order, a will and a trust document that gave her control over Davies’ assets. She made her husband the executor of the will and named herself as trustee, prosecutors said. Her family and charities affiliated with her attorney were listed as the main beneficiaries of the trust, according to the charges. Within two months of gaining power of attorney, Pasamba wrote herself checks from the estate totaling $55,000, prosecutors charged. Pasamba eventually sold Davies’ Lincoln Park condo for $189,000 but kept $50,000 as a “bonus” for herself, prosecutors said. Over the course of 31/2 years, she also paid herself $170,000 in salary for Davies’ care, prosecutors said. Alphonso Bascos, the lawyer who drafted the power-of-attorney documents, told the Tribune on Friday that Davies seemed lucid on the day he signed the papers, answering yes whenever he was asked directly if he wanted Pasamba to have power over his affairs. Bascos said that it was Pasamba’s idea to name several of his preferred Filipino charities as beneficiaries of the estate. He said he heard her explain the idea to Davies and get his approval. Bascos said he was “surprised and mad” when he learned about the alleged thefts more than two years later. If and when this change is announced, this workforce will be formally recognized as “workers,” not babysitters making pin money. 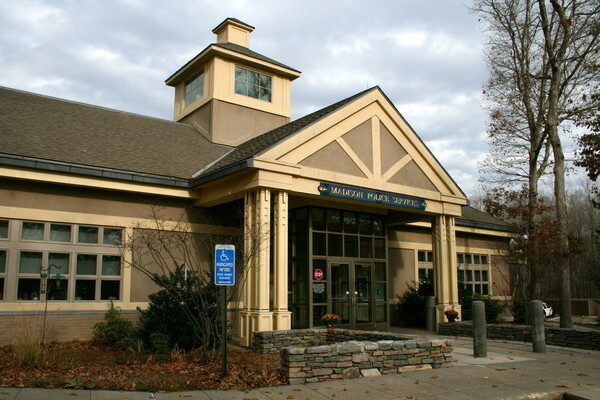 On December 6, 2012, the Madison Police Department, with the cooperation of the Milford Police Department, arrested Linda Correira for one violation of Connecticut General Statute 53a-122: Larceny in the First Degree. Correira’s arrest comes after nearly a year-long investigation by the Madison Police Department into unauthorized withdrawals from multiple bank accounts belonging to an elderly Madison couple. Correira allegedly bilked the elderly Madison couple out of several hundred thousand dollars, during the time period of July 2011 through December 2011. The missing funds include some service fees as well as unauthorized withdrawals. Correira accessed the couples various accounts while working as an in-home caretaker for the two Madison residents. Correira has numerous past arrests for larcenies and other crimes in Milford, Torrington, Winchester, Manchester, Stratford, and Fairfield. Long-term care (LTC) facilities, financial institutions, and anyone involved with keeping tabs on home care providers could play a role in preventing, detecting and reporting elder financial abuse. Witnesses talked about strategies for fighting financial abuse Thursday at a hearing organized by the Senate Special Committee on Aging. The witnesses did not talk about long-term care insurance (LTCI), and they mentioned annuities and life insurance only in passing. But several did talk about LTC providers. Hubert “Skip” Humphrey, III, an assistant director in the Office of Older Americans at the new Consumer Financial Protection Bureau (CFPB), testified that “bad actors” could include family caregivers or paid caregivers as well as financial advisors, fiduciaries, home repair contractors or scam artists. 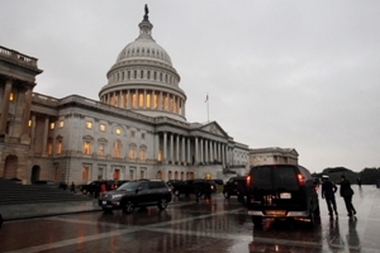 “Development of strategies to deal with the myriad of ‘bad actors’ is essential,” Humphrey said, according to a written version of his remarks posted on the committee website. One step the Office for Older Americans is taking is to develop guides for “lay fiduciaries,” to help family members and others handle older people’s money in a prudent fashion and spot possible signs of financial exploitation, Humphrey said. The office also is producing a guide aimed at LTC facility operators. The office is hoping the facility operators will identify possible cases of financial exploitation and do something about them, Humphrey said. A woman who police said attacked a 90-year-old Baltimore man she was supposed to be taking care of will return to the city to face charges after fleeing the country years ago. 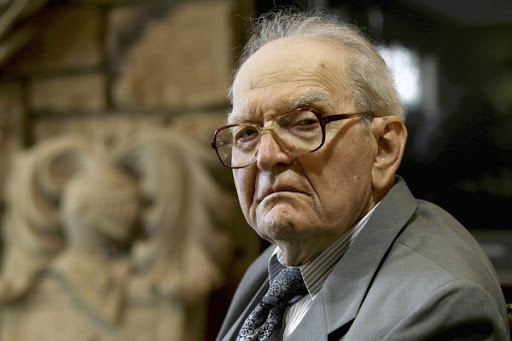 In August of 2007, Anastacia Olouch, a Kenyan national, was indicted on multiple charges of assault, abuse of a vulnerable adult and reckless endangerment in the beating of Jaki Taylor’s 90-year-old father, John, as he lay helpless in a bed in his home. 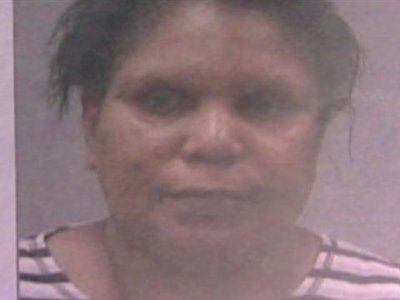 Jaki Taylor said she was angered that Olouch was able to elude authorities and leave the country without facing trial for her alleged crimes. Police arrested the 59-year-old after seeing video from the security cameras Jaki Taylor installed in their home. In the video, the caretaker was in the process of changing the elderly man’s diaper when she started hitting him. The victim was naked and couldn’t defend himself or communicate. “This woman came into our country, beat on my dad, and the system said it was OK to do that,” Taylor said in 2007. Police said right before Olouch was supposed to stand trial on Aug. 8, 2007, she ran. Detectives from Baltimore’s warrant task force began searching for her, but she was able to get on a plane and fly back to Kenya. For the past five years, the FBI and Baltimore police have been working to bring her back. She is expected back in Baltimore sometime Thursday. Two women in the health-care industry have been arrested separately in the last two days on suspicion of abusing elderly dementia patients they had been hired to care for, officials say. Jennifer Lopshire, 44, was booked into the Pima County jail on one count of vulnerable adult abuse Monday evening and was being held on $5,000 bail. Shanna Harper, 36, was arrested Tuesday morning on suspicion of fraud and theft/exploitation of a vulnerable adult. Her bond had not yet been set. The Veterans Administration hired Lopshire to help care for a 91-year-old Tucson man two years ago, said Assistant Arizona Attorney General Jesse Delaney. A short time later, the man’s daughter, who lives in Minnesota, hired Lopshire to also take care of her 88-year-old mother who uses a wheelchair. The woman requires 24-hour care because of Alzheimer’s disease, diabetes and Parkinson’s. The couple were living in an assisted living facility until last year when Lopshire placed the man into a care facility and rented the woman an apartment, Delaney said. Investigators are combing through the victim’s financial records to determine if additional charges are warranted, Delaney said. Other allegations of physical abuse are also being investigated, she said. Lopshire’s preliminary hearing is scheduled for next week. 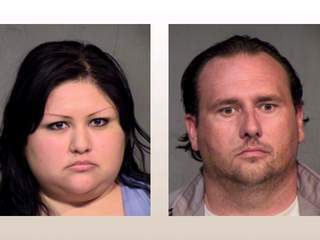 Phoenix police say they arrested a woman and her husband for abusing her brother to death while under their care. According to Phoenix police Officer James Holmes, the suspects were identified as 27-year-old Carlena Molina Pinkerton and 31-year-old Joshua Edward Pinkerton. The victim, 22-year-old James Roy Moore, was mentally disabled and the suspects were his legal caregivers, Holmes said. Moore was Carlena Pinkerton’s brother. On Friday, the suspects reportedly drove Moore to the hospital and left him there. That’s when medical staff saw that Moore had two black eyes, closed head injuries, bruising all over his body, and open pattern wounds all over, Holmes said. Medical staff then reportedly diagnosed Moore with several fractures and dislocations to his nose, right hip, right femur, and right arm. He also had an inch-long object in his throat, Holmes said. The hospital called Phoenix police because the injuries were suspicious, he said. After attempts to save Moore’s life at the hospital, he was pronounced dead around 9:30 a.m. Friday. You are currently browsing the archives for the caregiving category.